Pelé 1960 – Pelé dribbling past a defender during Malmö FF–Brazil 1–7 in May 1960. Pelé scored two goals. Pelé is widely regarded to be the best football player of all time. Cafu is the unsung hero of Brazilian football. If he does not have the same aura as a player like Ronaldo, Roberto Carlos or Ronaldinho, he has never disappointed. Cafu is the only player in history to play three World Cup finals in a row (1994-1998-2002) winning two of them. He wore the jersey of Brazil 142 times; another record. To this impressive international record, we can add a UEFA Cup Winners’ Cup in 1994-95, 2 Serie A titles in 2000-01 and 2003-04 with Roma and Milan and a UEFA Champions League trophy in 2006-07. Probably one of the best attacking midfielders ever, Zico is for many the equivalent of Pelé for his position. His nickname, the “White Pelé” indicates his talent. With Flamengo, Zico scored 529 goals in 724 games helping Flamengo win four Brazilian championships and one Copa Libertadores. Zico also scored 57 goals in 79 matches with Udinese and 54 goals in 88 matches with Kashima Antlers in Japan. With Brazil, Zico finished third in the World Cup 1978 and third in the Copa Américana 1979 with a total of 52 goals in 72 caps. 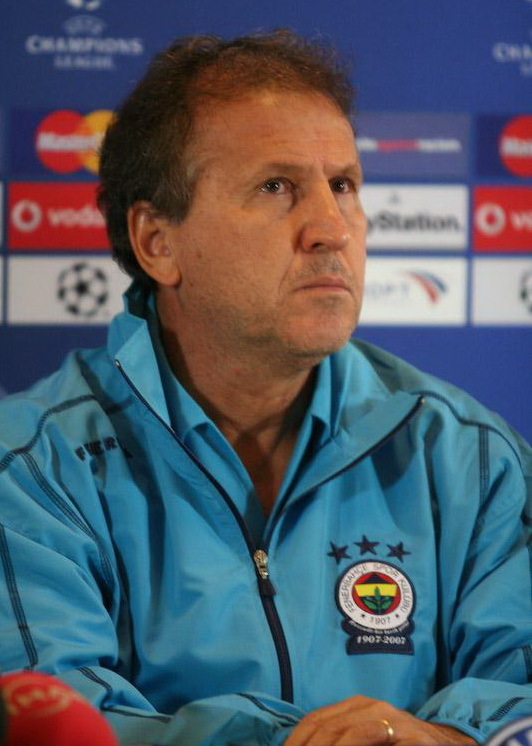 Zico is often considered one of the best players in football history never to have won a World Cup. Ronaldinho’s speed, creativity, improvisation and skills have led to him being regarded as one of the best players of his generation. Ronaldinho won most of his titles during his career at FC Barcelona. He won the Ballon d’Or in 2005, the Champions league (2005-06) and La Liga twice (2004-05 and 2005-06). With AC Milan, he won the Serie A in 2010-11 before returning to Brazil. During the 2002 World Cup, Ronaldinho scored two goals and made three assists towards the final victory of Brazil. Ronaldinho is part of the exclusive club of players who have won the most important club competitions in both Europe and South America (Champions League / Copa Libertadores). Rivaldo is arguably the most under-rated of the great football players in history. Always in the shadow of players like Ronaldo, Ronaldinho and Kaka, Rivaldo refused to participate in the marketing bonanza around him. And yet, he was one of the best players during 1995-2005 period due to his skill and his genius. After a big season in Brazil, Rivaldo tried his luck in Spain with Deportivo de La Coruña scoring 21 goals during the season 1996-97 before joining Barcelona. It is at Barcelona that Rivaldo won world-renown and many successes including two Liga (1997-98 and 1998-99) and prestigious individual awards such as the Ballon d’Or in 1999 and the FIFA World Player of the Year the same year. With Milan AC, he won the UEFA Champions League, the Coppa Italia, the UEFA Super Cup and the Supercoppa Italiana during the season 2002-03. 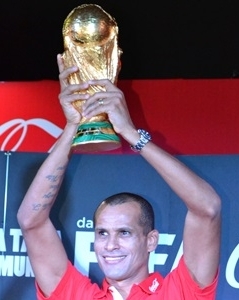 With the national team, Rivaldo was the best Brazilian player of the World Cup 1998 and won the title 4 years later, finishing second top scorer of the competition. Rivaldo is one of the only footballers to play in four different confederations and four different continents: UEFA (Europe), CONMEBOL (South America), CAF (Africa) and AFC (Asia). 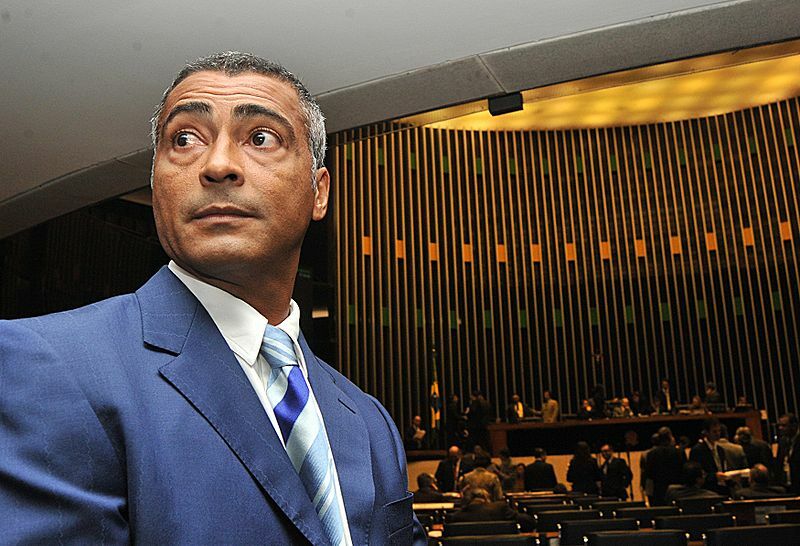 Romário in the Chamber of Deputies of Brazil. Romário de Souza Faria, best known as Romário, is considered as one of the top forwards in the history of Brazil. Due to his provocative nature he missed many opportunities to play for the Brazil national team, but nevertheless Romário had a great career beginning with Vasco da Gama. In 194 games with the black and white, O Baixinho (“The small guy”) scored 124 goals. This incredible striker continued his goal harvest in Europe with PSV, scoring 98 goals in 109 games and winning five titles in 6 years and then playing for Barcelona before returning to Brazil. At the peak of his career, Romario scored a ratio of 0.9 goal/game. Romário is the third highest goal scorer ever for Brazil, with whom he won a World Cup (1994), a Confederation Cup (1997) and two Copa Américana (1989 and 1997). According to Brazilian criteria, he surpassed 1,000 goals during his career (1002 goals). Ronaldo Luís Nazário de Lima, commonly known as Ronaldo and popularly dubbed “The Phenomenon”, won the FIFA World Player of the Year award three times and the Ballon d’Or twice, in 1997 and again in 2002. In 2007 Ronaldo was named in the Greatest Ever Starting Eleven by France Football magazine and in 2004 he was named in the FIFA 100 list of the greatest living players compiled by Pelé. 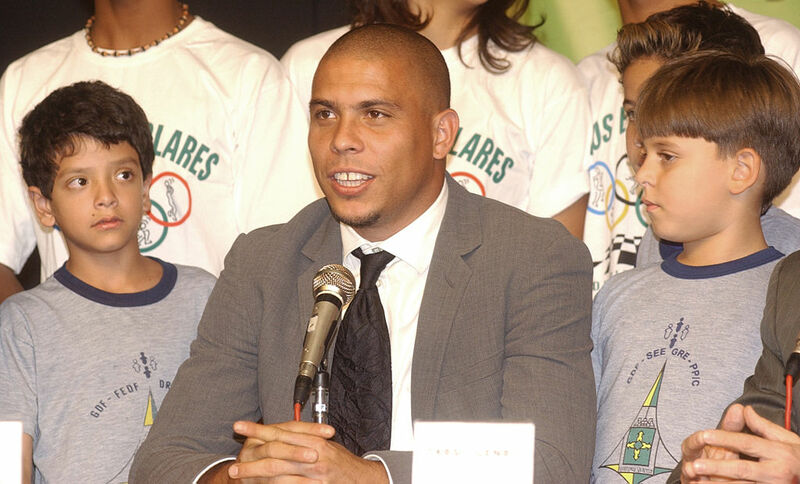 Ronaldo was inducted Into the Brazilian Football Museum Hall of Fame in 2006. He played for Brazil in 98 matches, scoring 62 goals, and is the second highest goal scorer for his national team. At the 1998 World Cup he received the Golden Ball for player of the tournament despite suffering a convulsive fit not long before defeat to France in the final. He won a second World Cup in 2002 scoring twice in the final and receiving the Golden Boot as top goal scorer. During the 2006 FIFA World Cup, Ronaldo scored his 15th World Cup goal which was a World Cup record. Ronaldo retired from football on 14 February 2011.